Our perfect gourmet basket is a great gift for any occasion, whether it be a birthday, a new baby, or as a get well gift. 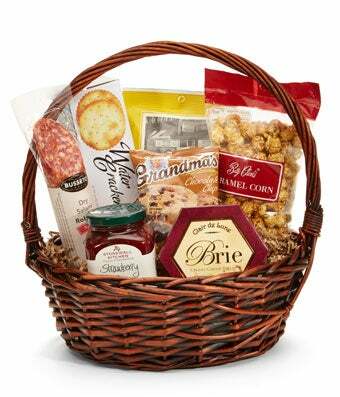 This basket, overflowing with sweet and savory snacks including items like meat, crackers, cheese, and sweets, this basket is sure to please. It's also a great item to send as a thoughtful gesture in times of sympathy. Please note, that the variety of snacks in the basket may vary.